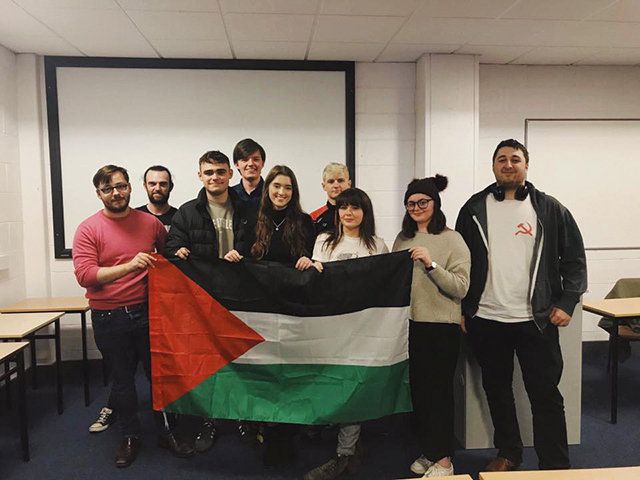 DCU Students for Justice in Palestine (SJP) society launched a student union referendum campaign to mandate the SU to adopt a stance of solidarity with Palestine. The referendum would also affiliate the SU with the Boycott, Divestment and Sanction (BDS) movement, which is a boycott of Israeli goods due to the state’s treatment of the Palestinian people. The announcement was made just days after the Palestinian ambassador to Ireland Ahmad Abdelrazek visited DCU upon SJP’s request to discuss the future of Palestine. Abdelrazek is a Palestinian refugee who was born in Lebanon. He’s been living in Europe for 43 years and became the Palestinian ambassador to Ireland back in 2013. The ambassador described the Israeli settlements in Palestinian territories as “Swiss cheese” – holes scattered throughout the Gaza Strip and the West Bank. He condemned the continued expansion of Israeli settlements and said no country should recognise Jerusalem as Israel’s capital. “Gaza is the biggest open prison in the world. Two million people cannot move,” he said. Abdelrazek went on to say that many people in the west still view Israel as the victim due to the Holocaust. This sentiment was shared by one of the guest speakers at the referendum announcement, Ronit Lentin. Lentin is the chair of Academics for Palestine and is also an Israeli Jew who was born in Palestine before the Israeli state was officially established. She called out several universities for having ties with Israeli universities and academics – including DCU. However, she singled out Trinity College as being the possible worst offender, as she said they have several programmes with an Israeli institute which involve developing drones and security systems. Lentin said that the BDS movement is not a boycott of individual Israelis, rather it’s a boycott of the Israeli institution. The other guest speaker at the event was Fatin al Tamimi, the chairperson of the Ireland-Palestinian Solidarity Campaign. Al Tamimi was banned from returning to her home country of Palestine and has been living in Ireland for 30 years. She also supports the BDS movement and was happy with the recent news that Airbnb would stop running listings in West Bank settlements. She said that in 1948, Palestinian people became the largest refugee population in the world. Ambassador Abdelrazek said that the US only recognises 40,000 Palestinian refugees as living in the States, despite the fact there are more. The ambassador told 21 students back on November 15th that the BDS movement was inspired by the movement to boycott South African goods during its apartheid regime. He mentioned how a small group of people in Ireland – the Dunnes Stores workers – helped to make a difference. “If there is one person or 200 persons – it’s the same,” he said.